Expect your PPC campaigns (and therefore probably your SEO traffic) to go a little haywire this week. 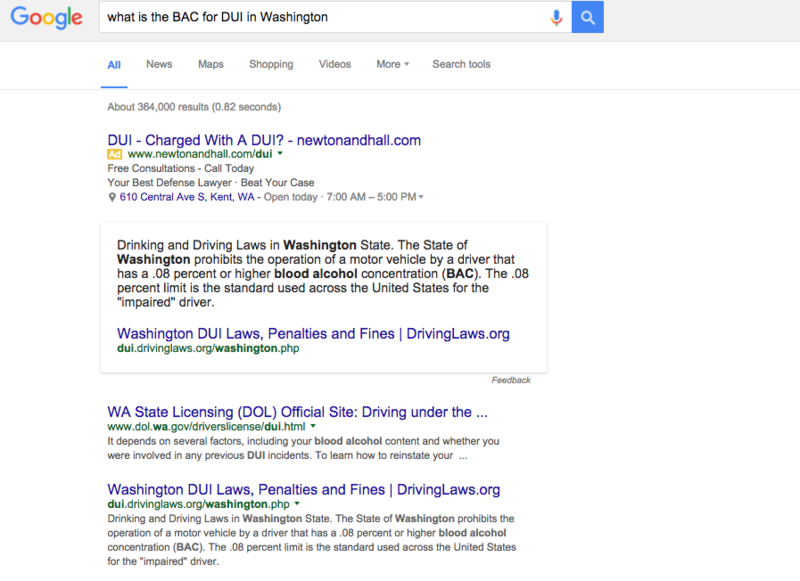 Google has abruptly rolled out a very large change to the search engine results page (SERP) interface…. 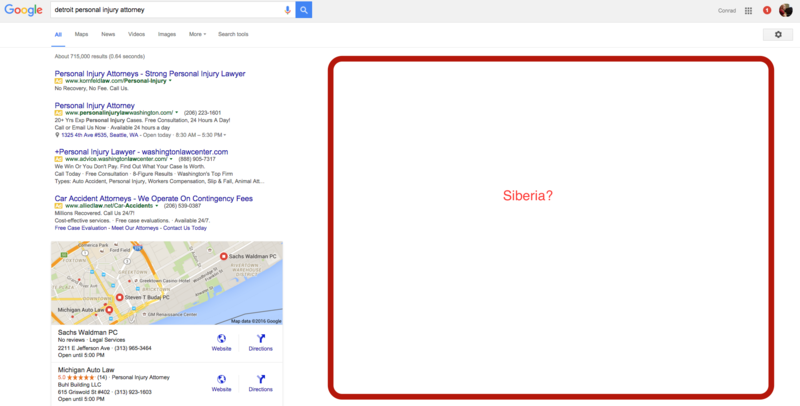 removing all ads (and apparently everything) from the right rail – see Siberia below. The changes impact desktop searches only. There are now four ads above natural search results and three below. The changes only impact “commercial” queries – presumably most of the more transactional legal terms, but probably less so for queries researching a particular issue (see example below). The change is permanent (for now). In the already overpriced legal PPC market, there’s even more competition for just 4 prime spots (remember, SERPs used to have up to 11 ads, including most legal queries) which is going to drive up already irrational (read: unprofitable) PPC bidding among lawyers. Local now becomes even more important for lawyers (and remember, it was just August when the number of local results constricted down to the three firm “snack pack”. In summary, there are fewer ads total; however, they take up more of the prime real estate – which impacts both natural and paid results.